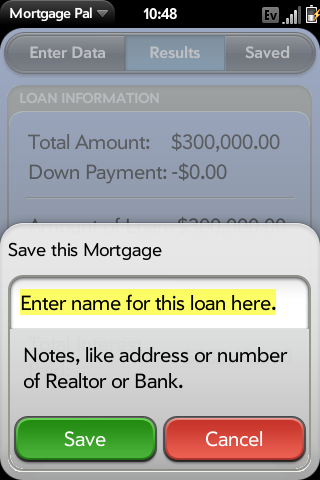 Available for Palm webOS, Android, and now iOS! 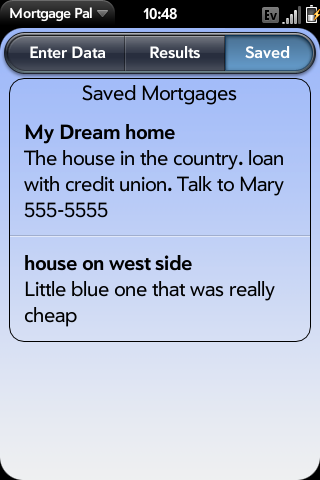 Mortgage pal is a simple application to help you decide how much you can afford when buying a house. 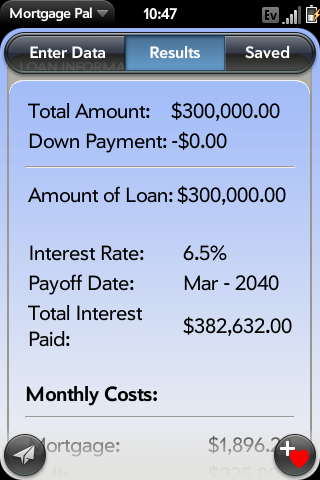 Unlike other Morgage calculators, it focuses on total monthly cost of ownership to give you an idea of just how much you will need to spend each month. 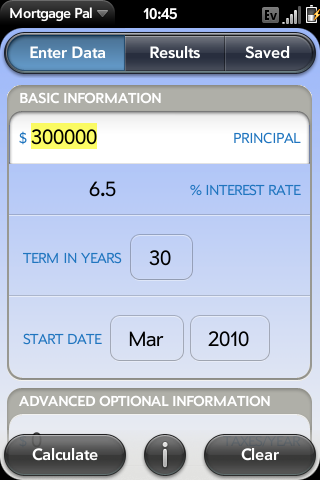 It also will let you save favorite loan calculations or information for later or comparison. 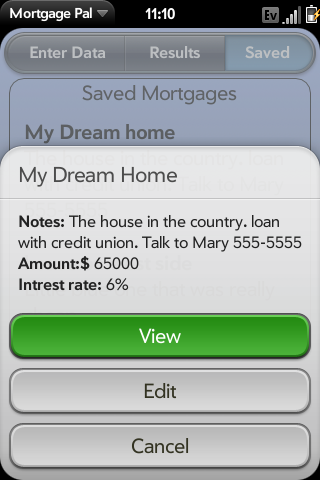 If you would like to see a feature added or find any bugs, please do not hesitate to email me.